Can't decide what to get for her birthday? Try the Giftwich. This Reuben with a ribbon is sure to put a smile on her face, because nothing says “I love you” like corned beef and Swiss on rye! 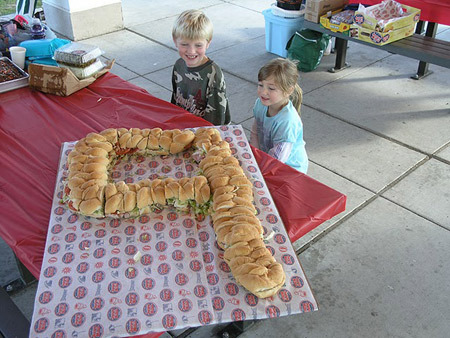 The record for the longest sandwich has been finally broken, Dubai witnessed the making of a 2.667 Km long sandwich that entered the Guinness Book of World Records, in October 2010. 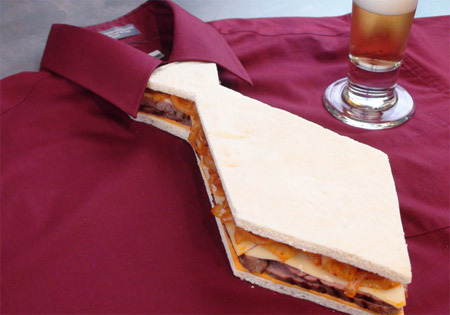 Forget about getting Dad a tie this Father's Day. Instead, fix him this tie-shaped torpedo. With grilled steak, Swiss, cheddar and fried onions, it'll be a gift he actually enjoys! 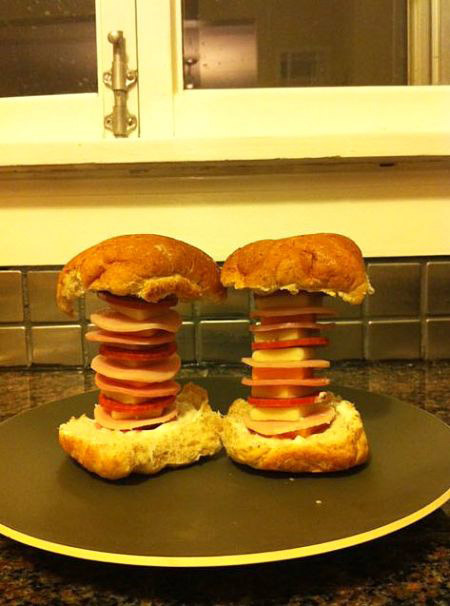 Probably the world's first Rubik's Cube in sandwich form. So what are the ingredients? 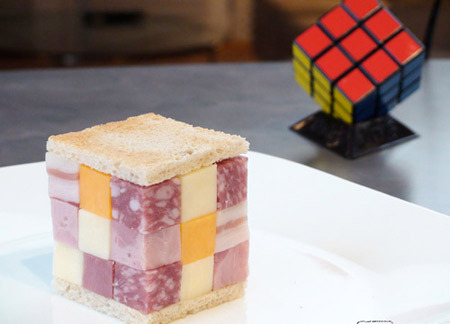 The Rubix Cubewich contains cubes of pastrami, kielbasa, pork fat, salami, and two types of cheddar. 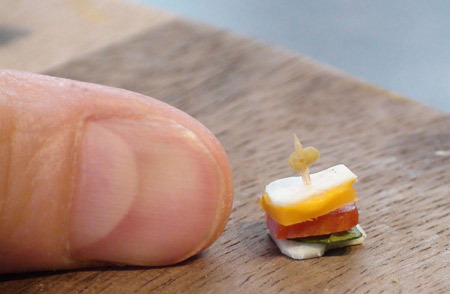 Could this be the world's smallest pastrami sandwich? 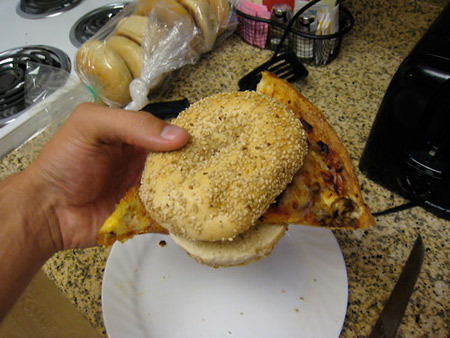 Do you like pizza and sandwich all at the same time? This is an excellent combination next time you crave for these options. 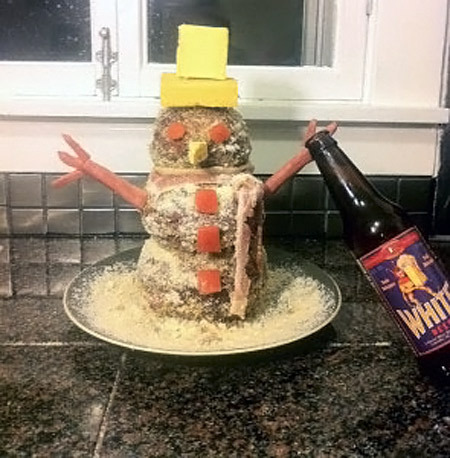 The Meatball Snowman started with a package of ground chuck, some eggs and breadcrumbs, decorated with Parmesan cheese to give him a nice snow effect, a bacon scarf, hot dog arms, a top hat and tomato eyes and buttons. Yes, nine years old. 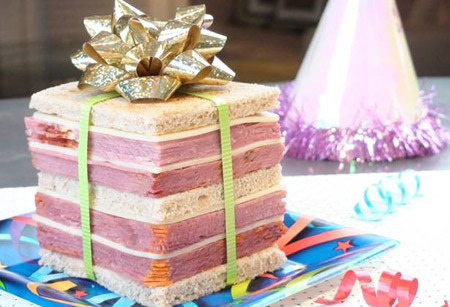 Funny and creative sandwich cake. 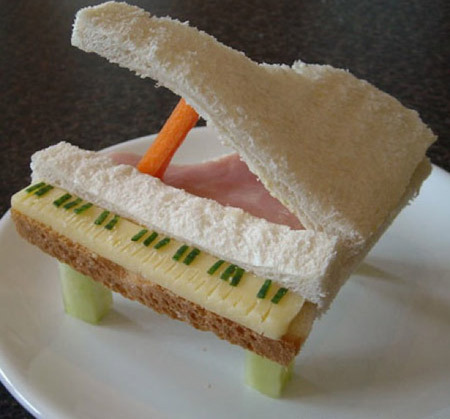 Excellent option for the pianist we all have inside. 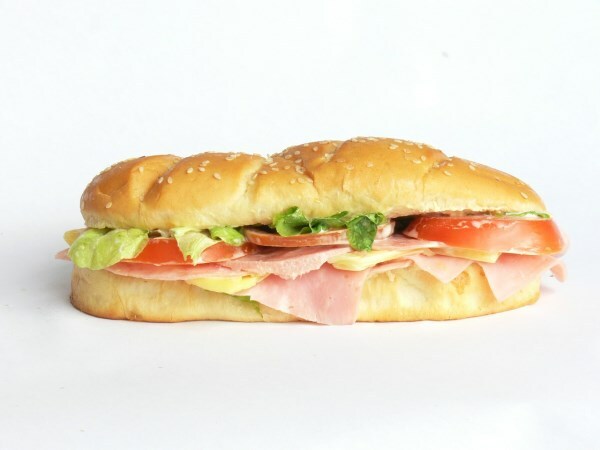 Each deli tray party stacker was composed of equal parts of smoked turkey, smoked ham, pepperoni and Cheddar, Swiss and Pepper Jack cheese, and boy were they good! 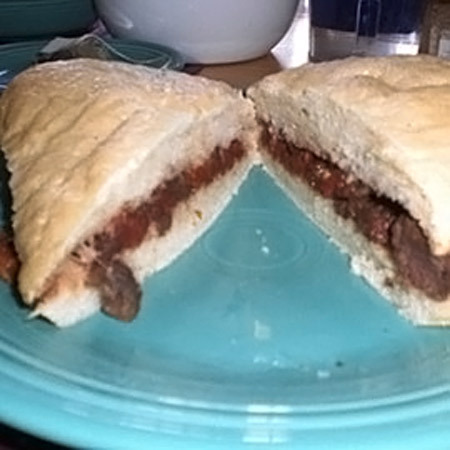 Plus, with sandwiches of this caliber you can easily knock out a pound of meat and cheese in little to no time at all! 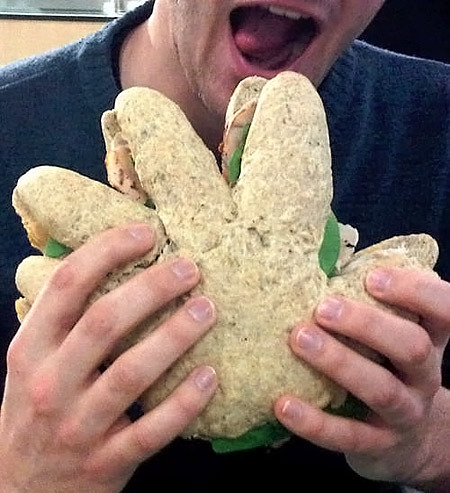 Perhaps this should become the new design for all future sandwiches, a “hand” sandwich that is easy to hold and bite. Chrissy and Kathy are twin sisters who encourage people to the practice of placentophagia, a term coined to people who like to eat human placenta as a symbolic way to reaffirm life. Would you do it?